It's the story of a society in which democracy descends into tribalism and tyranny. One of a civilisation built by those committed to the rule of law who turn on each other, scapegoating the marginalised and powerless. Ultimately, it's a reminder of a human barbarism lying just beneath the fragile veneer of decency. Sound familiar? That's right: it's the plot of Lord of the Flies, a novel about a group of English boys who survive a plane crash and are marooned on an island in the South Pacific. After a short period of harmony, a power struggle between the two leaders, Ralph and Jack, causes the group to split. Jack wins out by promising to hunt and kill a common enemy - the strange phantom living in the jungle known only as the Beast. It's a successful campaign of fear and division. 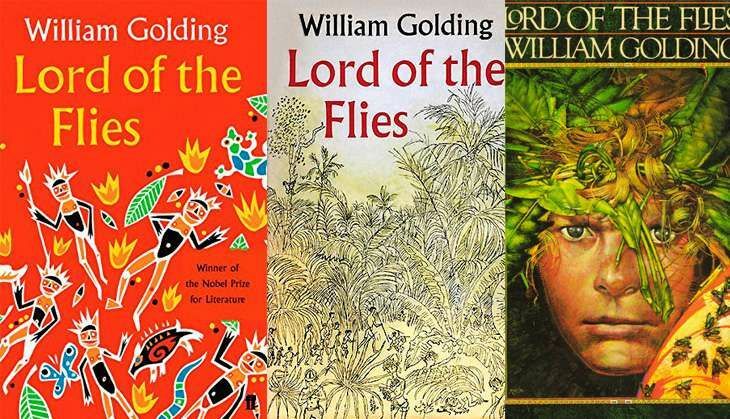 Lord of the Flies was first published in 1954, largely in response to the rise of Nazism and the horrors of World War II. And yet, in many ways, it speaks directly to the world of 2016, where austerity, the refugee crisis, Brexit and the rise of Donald Trump have emboldened nationalist fervour and stoked societal fragmentation. The racialised language of tribal "savagery" in the novel quite rightly makes contemporary readers bristle. It marks author William Golding's failure to move beyond a fundamentally eurocentric and colonialist view of the world. But ultimately, the book's message is that "savagery" is universal. It is not racially or nationally defined. It's a moral that encourages us to reflect on just how far-right extremism has crept back into mainstream politics throughout Europe and America. The far right traffics in the populist language of national allegiance to legitimate racism. America's so-called alt-right, France's National Front, UKIP and xenophobic Leavers in Britain all feed off dissatisfaction with globalisation to create enemies within. The solution to complex economic and political realities for these groups is as simple as hunting the Beast. Jack lives on in Trump, Le Pen, and Farage. In counterpoint to Jack's sloganeering and scaremongering, Lord of the Flies gives us Piggy and Simon. The former is a firm believer in scientific progress, but he is also aware that human progress will be halted if "we get frightened of people". Piggy is debilitated when the boys steal his glasses - his means of vision and clarity - and use them to start a fire. They instantly lose control of the flames, leading to the destruction of part of their new home. Rather than representing the first act of a united civilisation, the making of fire signals the disunity that splits the group and leads, finally, to Piggy's death at the hands of Jack's tribe. If Piggy is "progress" then Simon is "reason". He knows that the Beast isn't real and is in fact borne of the boys' own fear. "However Simon thought of the beast," we're told, "there rose before his inward sight the picture of a human at once heroic and sick." Despite this insight, Simon is regarded as weak and is shunned. After a lone expedition, he discovers that the Beast is no more than a dead airman - a casualty of the war raging far off in the distance, whose parachute has swept him onto the island. Simon returns to camp to share the news, but the boys' imagination awakens a blind desire for blood. They no longer see a fellow human being, only a threat to their society. Simon's screams are drowned out by the "tearing of teeth and claws". My book was to say: you think that now the [Second World War] is over and an evil thing destroyed, you are safe because you are naturally kind and decent. But I know why the thing rose in Germany. I know it could happen in any country. So far, so bleak. And yet, while Golding depicts humankind's propensity for prejudice, there is a small glimmer of hope. After fleeing the manhunt ordered by Jack, Ralph encounters a uniformed naval officer whose vessel has landed after seeing the smoke rising from the scorched island. As Ralph weeps "for the end of innocence", the officer turns around to let his eyes rest on his warship in the distance. This final image of the book is a moment of self-reflection. In the savagery and environmental catastrophe of the boys' rudimentary civilisation, the adult world is afforded a vision of its own folly. The moral of Lord of the Flies isn't just that barbarity knows no borders. It's also that it can be prevented from flourishing through the commitment to a shared humanity. "If humanity has a future on this planet of a hundred million years," said Golding in his 1962 lecture, "it is unthinkable that it should spend those aeons in a ferment of national self-satisfaction and chauvinistic idiocies." The novel may not be a heart-warming Christmas tale, but it gifts us an unflinching portrayal of a society driven by fear. For readers in 2016, it remains both an urgent warning and an invocation.